In October 2009, Chris joined Advanced Spinal Fitness and now holds the role of office manager. Originally from Massachusetts, Chris loves the weather and friendless of the residents in the South. "I believe in the effectiveness of chiropractic care, as I've seen it at work first hand. People come to ASF because they are experiencing pain or limited mobility. Our doctors treat and make our patients feel better without the use of drugs. All three of our doctors have really opened my eyes to alternative health care options. I strive to make sure that every patient's visit is enjoyable and efficient." Away from the office, Chris enjoys hiking, traveling, and photography. Chris and her husband, Dennis, never turn down the opportunity to visit Disney World and can be found playing with their dog, Savannah, when at their home in Statesville. 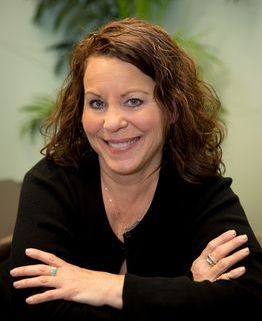 In December 2010, Bruni joined the front office staff at Advanced Spinal Fitness, specializing in care for patients and their children with a kind heart, sincere smile, and willingness to help. "Everyone is part of the family here at ASF and we genuinely care and are concerned for our patients. Chiropractic care allows you to work with your body's own potential for healing and wellness. I whole-heartedly believe in the effectiveness of chiropractic care, as I know what it has done for me personally. " Away from the office, Bruni enjoys spending time with family and friends, teaching Zumba, practicing yoga, and reading. She also is the proud mother of her son, Nathan. 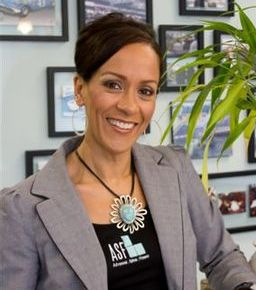 Jill Simon joined the ASF team in 2015. She has seen how beneficial chiropractic care is to infants and children of all ages, as well as adults. Jill has especially enjoyed seeing how the doctors treat patients through adjusting and being in tune to the body by touch. Jill is grateful that chiropractic treatment has been effective not only for herself, but also for her daughter who thought pain was something she just had to live with. Now her daughter is completely pain free and thankful she was introduced to the doctors at Advanced Spinal Fitness. Jill takes great joy in helping all the ASF patients have a great chiropractic experience, as well. She is particularly fond of our littlest patients and can often be found rocking a baby at the front desk while Mom or Dad is being adjusted. When not working, Jill enjoys spending time with her family at the lake and cheering for the Carolina Panthers.